This entry was posted in 2013, Butterfly gardening, Garden wildlife and tagged bronze fennel, butterfly, butterfly gardening, chrysalis, garden insects, garden wildlife, gardening, nature by missinghenrymitchell. Bookmark the permalink. 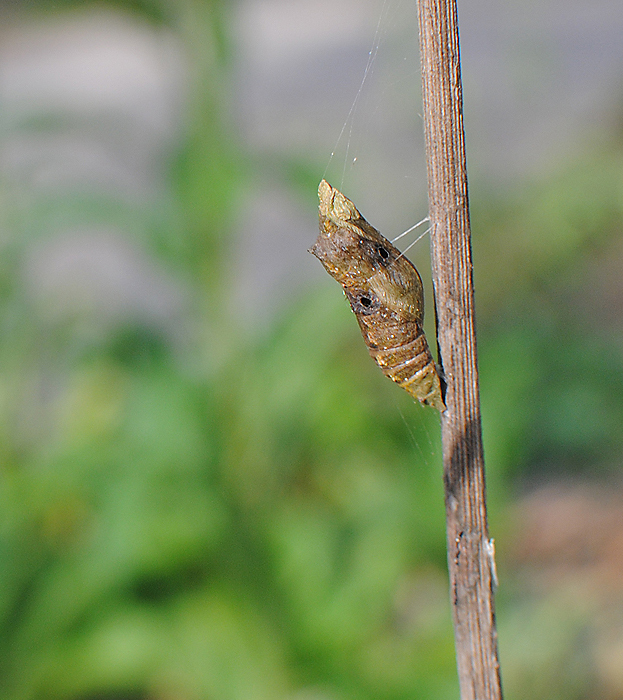 I don’t think holes are a good thing, but I’m wishing your chrysalis good luck!